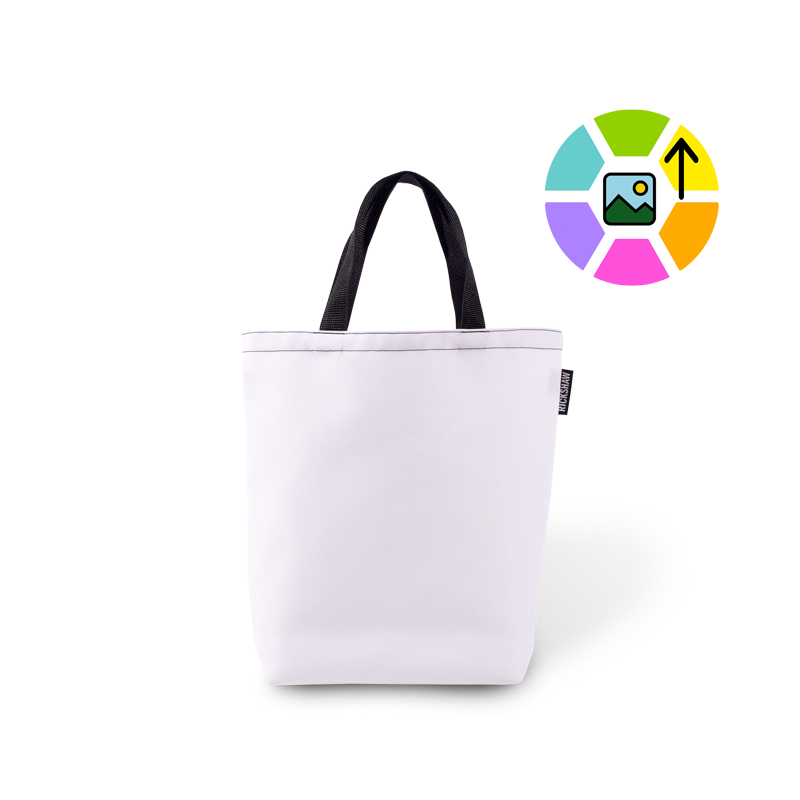 Our Customizable Mini Tote features our own proprietary DigiPrint™ 2-ply laminated polyester canvas, and brilliant, high-resolution, indelible dye sublimation printing. Upload your own artwork with dazzling results. Features two 1-inch wide handles. 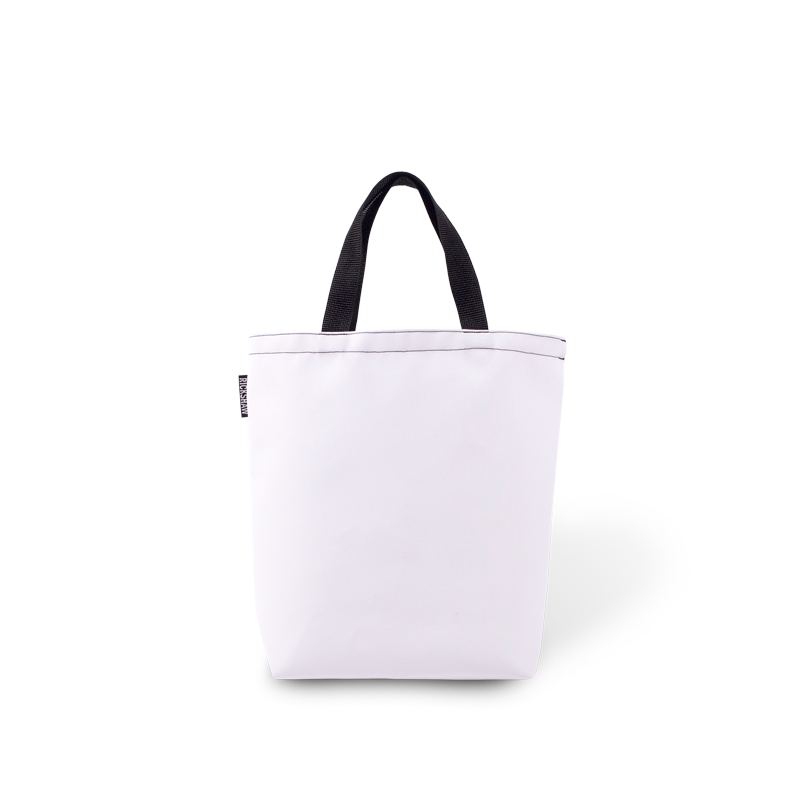 This little bag makes a perfect lunch tote, second purse or goodie bag for gifts. Each bag is printed, cut and sewn in our own factory, right here in San Francisco!